Seeing the world doesn’t mean that you have to be part of the jet set. The classic road trip has long been a favorite way to travel, cycling tours are becoming ever more popular with fit and healthy tourists, and cruise ships offer deluxe experiences on waters across the globe. But there’s another way to travel in style that many might not consider: in a luxurious, plush-cushioned train car, moving on tracks through some of the most scenic areas of the world. Rail travel saw its biggest boom after the introduction of the first steam trains used for public transportation in the early 1800s. Today, hospitality purveyors across the globe are taking travel by rail to new heights of grandeur with tours that include wine tastings and spirits, cuisine from gourmet chefs, glass-domed rail cars for spectacular views, and more. Take a look at some of the top luxury train tours in the world, and start planning your next adventure! Alaska Railroad’s tours are favorites among tourists wishing to see North America’s Last Frontier. The company’s flagship train, the Denali Star, travels from Anchorage, Alaska, every morning in the summer and takes passengers on a scenic jaunt through the massive state’s Southcentral and Interior regions. Sights along the 356-mile, twelve-hour journey include the Knik River, the Chugach Mountains, the backcountry Hurricane area, Denali National Park, and the Alaska Range, including views of its highest peak, Denali, on clear days. Stops along the way in Wasilla, Talkeetna, and Denali National Park offer visitors a perfect opportunity to see the land up close and personal before the train’s final stop in Fairbanks. Opt for the Denali Star’s GoldStar Service package for panoramic vistas from glass-domed ceilings and an upper-level outdoor viewing platform, a full-service dining car, a private bar, and more. Vino lovers, rejoice, for your next stop is the Napa Valley Wine Train! 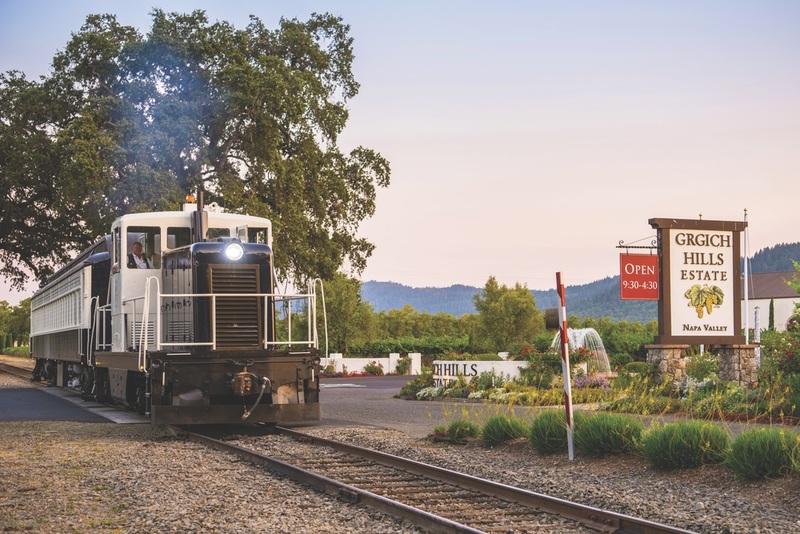 Noble House Hotels and Resorts has curated the ultimate railway wine-tasting experience, with several tour options embarking from the Wine Train platform, conveniently located in downtown Napa, California. The train’s interiors hark back to the glory days of rail travel with luxurious red velvets and plush seating from which passengers can take in the incredible views of Napa Valley’s rolling hills and vineyards. Executive chef Donald Young and his team prepare exquisite meals featuring local ingredients. And, of course, there’s plenty of wine to go around! The unique tasting bar offers twenty to thirty Napa Valley vintages for guests 21 and up, while bottles and glasses are available during any of the train’s lunch, dinner, and special event tours. Luxury brands are renovating classic trains around the world to offer exclusive VIP experiences in rich environments. The Napa Valley Wine Train’s plush opulence is a good example. 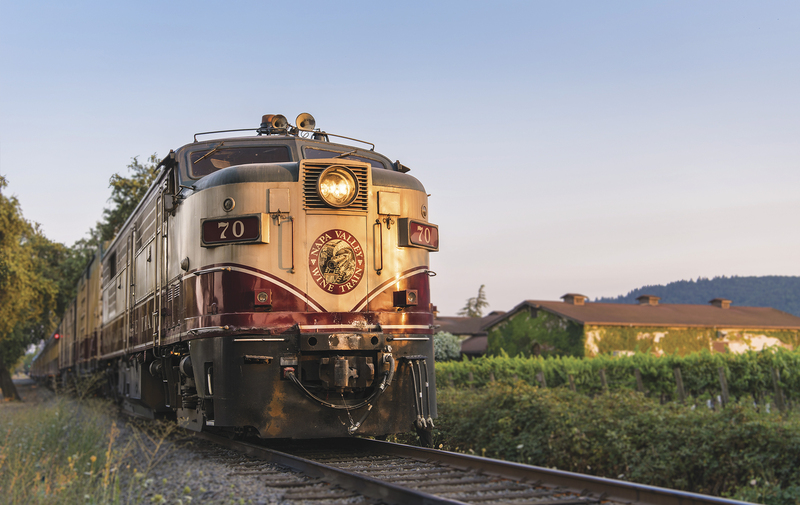 The Napa Valley Wine Train offers a taste of the area’s best wines and gourmet meals. Head south of the border and hop onto the Tequila Herradura Express, Mexico’s luxury train tour presented by Casa Herradura and Ferromex Railway System. Passengers will have a VIP experience from the moment they step onto the platform in the city of Guadalajara. The trip begins with a light breakfast in the train’s premium, club, or first class cars—first class includes exquisite cabins with lounge chairs, flat-screen TVs, and private bar service—and appetizers and beverages are never far away during the rest of the trip. The destination is Casa Herradura, Mexico’s last true tequila-producing plantation, where a VIP distillery tour, dining, and entertainment await—along with Herradura’s famous 100 percent agave tequilas. Bottoms up! Synonymous with luxury, the Belmond hospitality brand includes hotels and tours around the world. Its Andean Explorer sleeper train is no exception. Be inspired by incredible views of the Peruvian Andes mountain range as you rumble through Cusco, Puno, Arequipa, Lake Titicaca, Colca Canyon, and more on a one- or two-night voyage. The train features a piano bar car, an open-deck observation car, shopping, a library, and world-class dining. It’s time to finally visit the wonders of Peru—in style. From April to October, the Belmond Grand Hibernian offers two-, four-, or six-night tours throughout all of Ireland. Explore the city of Dublin, head into Northern Ireland for a tour of Belfast, experience the Wild Atlantic Way in Westport and Galway, enjoy the culture in Cork, and see the green countryside, rivers, lakes, and more along the way. The observation car offers stunning views along with Irish storytelling and live music. 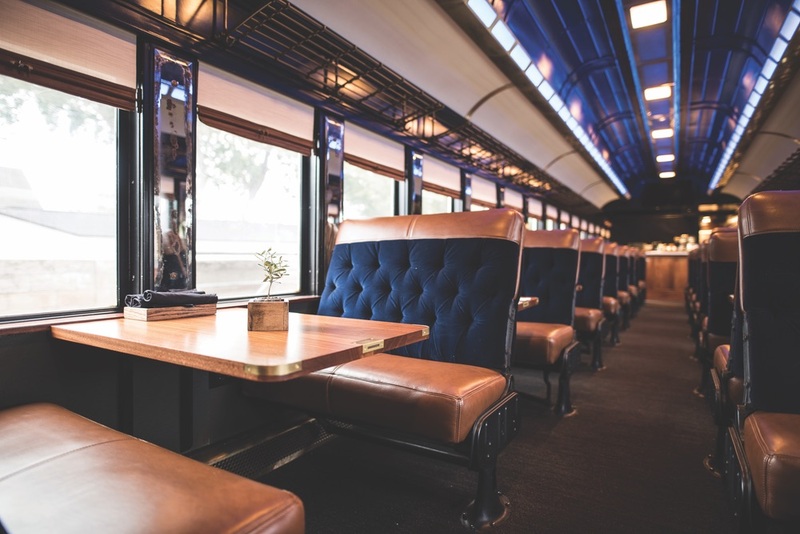 Fine Irish whiskey and stout brews are never too far from reach, and the train includes two elegant dining cars where chef-inspired cuisine features ingredients sourced from the regions guests will see outside their windows. 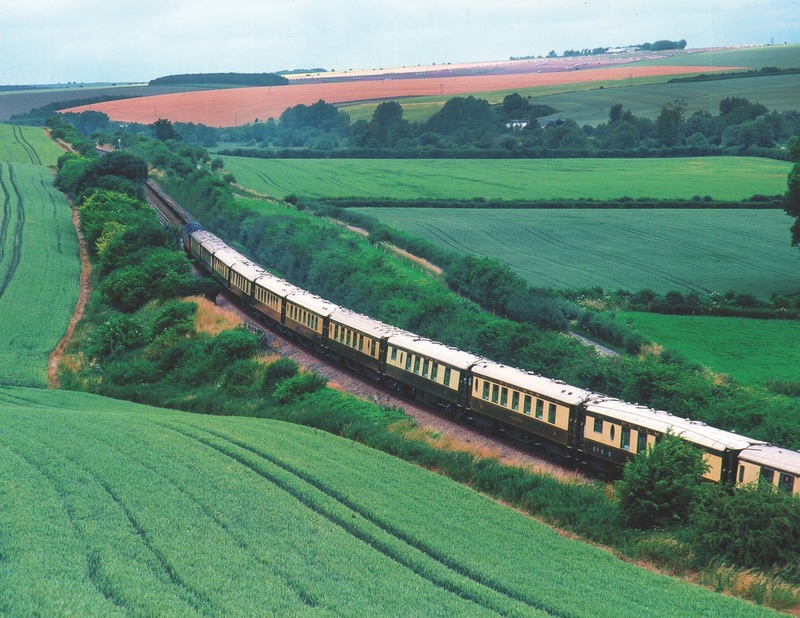 The Belmond British Pullman offers a scenic escape through England’s rolling hills and beautiful countryside. 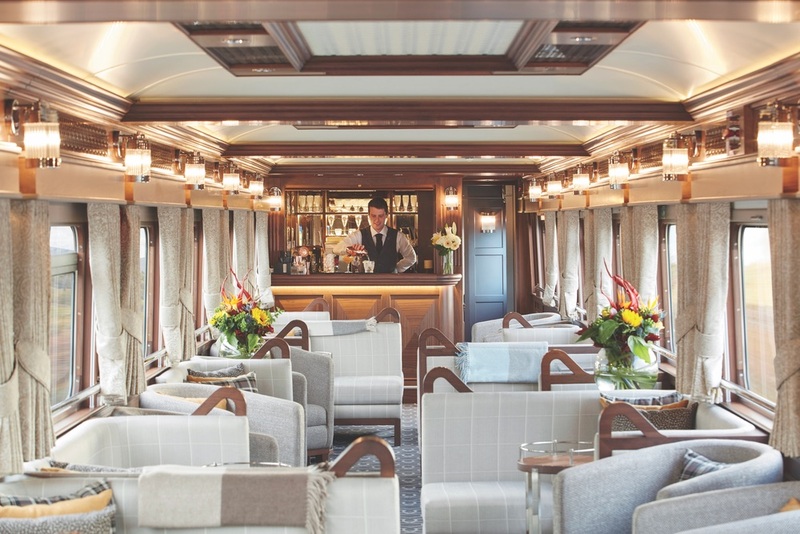 The bar car on the Belmond Grand Hibernian in Ireland is the picture of elegance. Classic style and history reign supreme on the Belmond British Pullman, with its oldest carriage dating back to 1925. Its cars—masterfully renovated for the ultimate in art deco luxury—once ran along England’s railways as part of the Brighton Belle and Golden Arrow express trains. Celebrate the glory days of 1920s rail travel when you book a tour to discover Canterbury, York, Bath, and more destinations in England. Special packages include a murder mystery lunch, a winery tour, horseracing or motor racing experiences, and much more. Perhaps Belmond’s most luxurious train tour is the Venice Simplon-Orient-Express, which takes passengers on a cross-continent tour of Europe with many trip options, including stops in London, Verona, Paris, Venice, Prague, Vienna, Budapest, Bucharest, and Istanbul. Single or twin cabins are available for journeys that range from day trips to ten-night tours. Executive chef Christian Bodiguel and his team create decadent cuisine with locally sourced ingredients, while the art deco champagne bar car is a must-visit for guests seeking a pick-me-up. 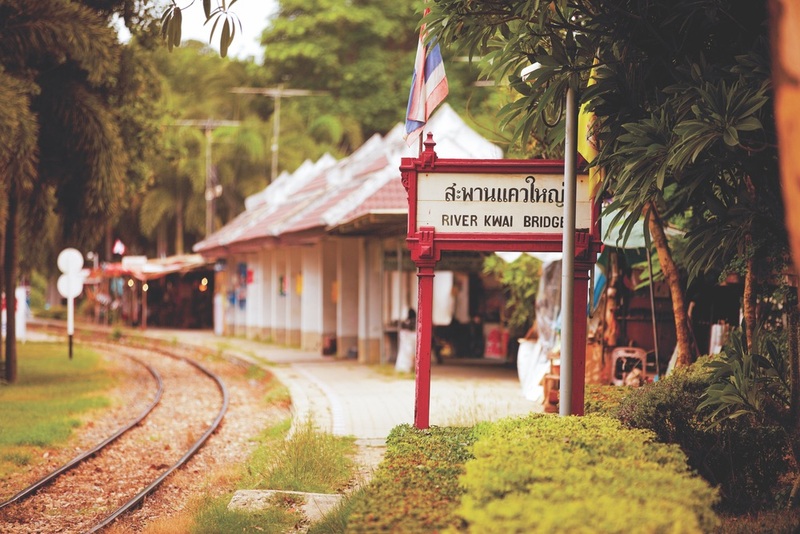 Journey into the heart of Southeast Asia aboard the Belmond Eastern and Oriental Express. Decked out in the most sophisticated decor with an exotic flair, the train offers single or double cabins that transform from chic lounges during the day to comfortable bedrooms at night. Dining is offered in two cars and includes Eastern and Western favorites. Passengers will enjoy views of the villages, rivers, and highlands on the six-night Fables of the Peninsula tour, which journeys from Singapore to Huay Yang with stops in Kuala Lumpur, the Cameron Highlands, and Penang. 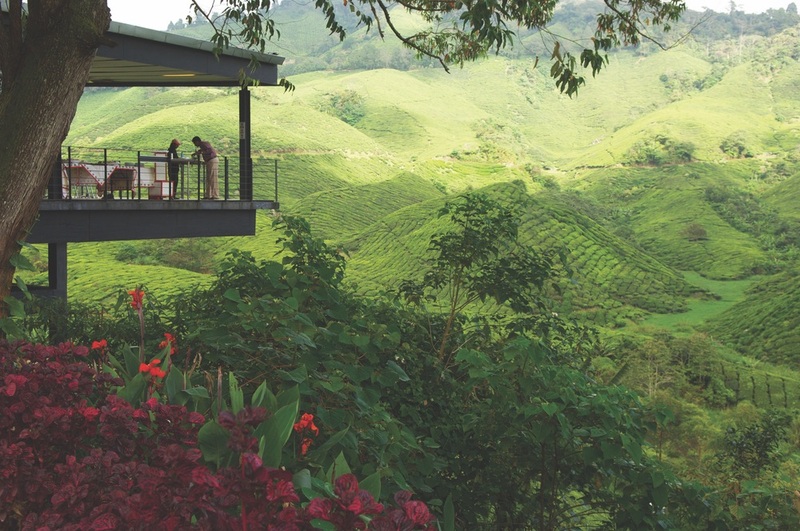 Destinations along the trail of Belmond’s Eastern and Oriental Express include Singapore, the Cameron Highlands, Bangkok, and more. Bonus! East Japan Railway Company’s new Train Suite Shiki-shima luxury train takes guests on an unforgettable trip to experience the depth and wonders of Japan aboard a vessel unlike any other—and it’s sold out until 2018. Read more on our blog at VIEmagazine.com/Shiki-Shima-Luxury-Train.